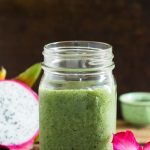 This refreshing Green Tea Dragon Fruit Smoothie combines two of my favorite Asian ingredients into a delicious and energizing drink. Dragon fruit, also called Pitaya (Spanish: Pitahaya), comes originally from South America. But this cactus fruit is also widely grown in Southeast Asia! I fell in love with it during our travels in Thailand and Vietnam. Dragon fruit is a low calorie, low sugar fruit. It is rich in antioxidants, contains Vitamins C, B1-3 and E, and the minerals iron, magnesium and calcium. Pitaya is also a good source of fiber. 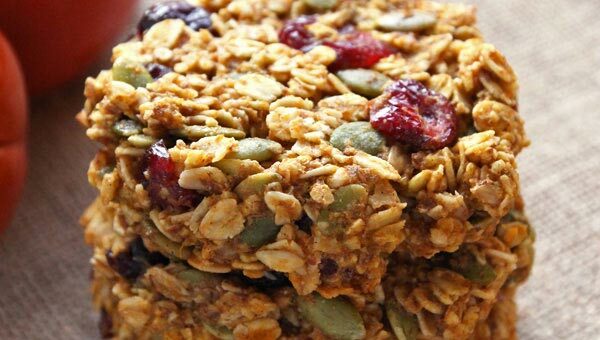 A 1 cup serving contains 7 grams of fiber! Aside from dragon fruit this pitaya smoothie also includes green tea for an energizing boost. And fresh greens for extra nutritional value. 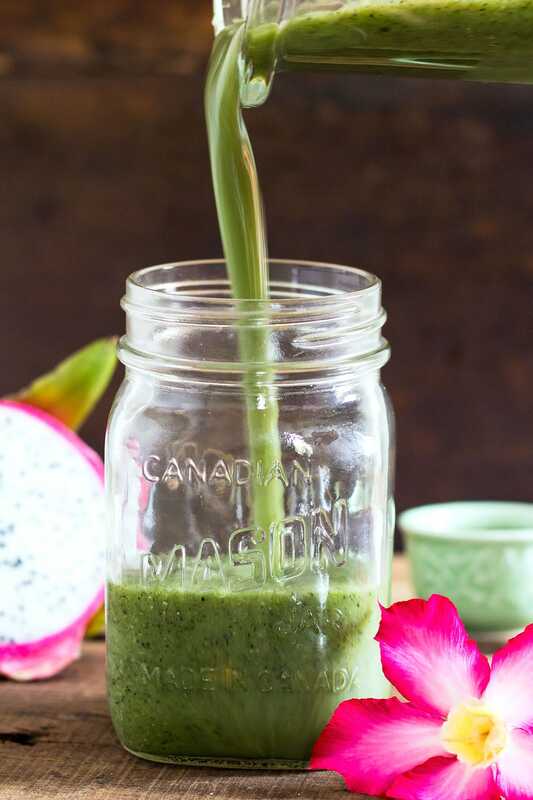 Green tea is a super healthy Asian beverage staple that is antioxidant rich and a good source of alkaloids, and Vitamins A, D, E, C, B, B5, H, and K. This ‘cup of health’ is used as the liquid basis in this smoothie recipe. 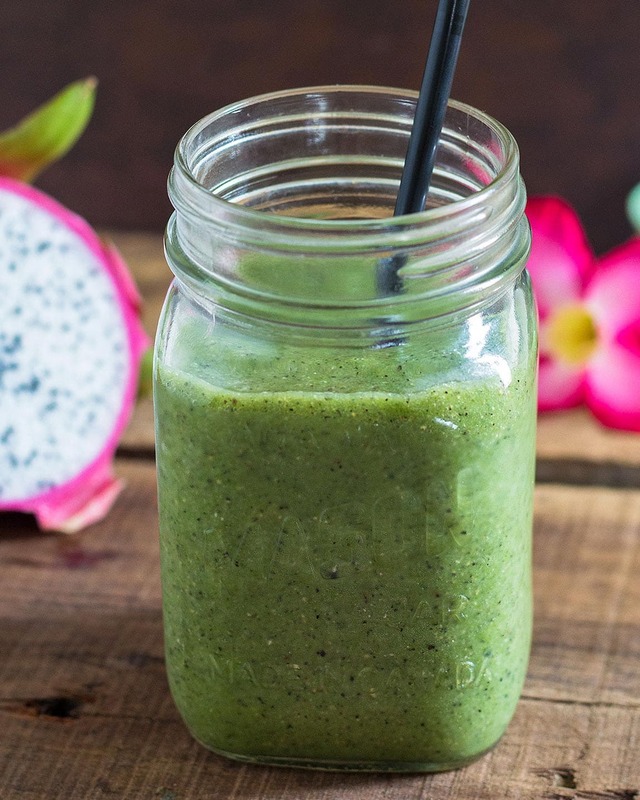 Additional nutritional benefits in this smoothie come from the leafy greens that are blended together with the dragon fruit and green tea. I like using spinach, baby kale, or local greens like morning glory (water spinach) when I am in Asia. Start by brewing a cup of green tea. Don’t oversteep (2-3 minutes only) and don’t use too many tea leaves (~1 teaspoon) so that the green tea doesn’t come out too bitter. Let the tea cool, then pour it into your blender jug. If using a fresh dragon fruit, cut it in half. Scoop out the flesh with a spoon and add it to the blender. If you are using a frozen pitaya smoothie pack, open the package and squeeze out the frozen fruit into the blender. 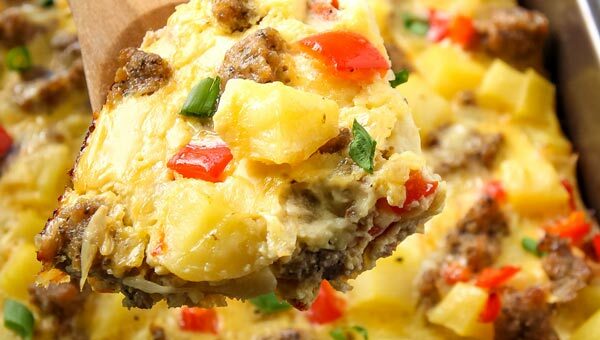 For natural sweetness, I am including frozen banana and pineapple chunks in the recipe. Aside from adding sweetness, they also enhance the tropical flavor of this super green smoothie. Add these frozen fruits into the blender along with the leafy greens. 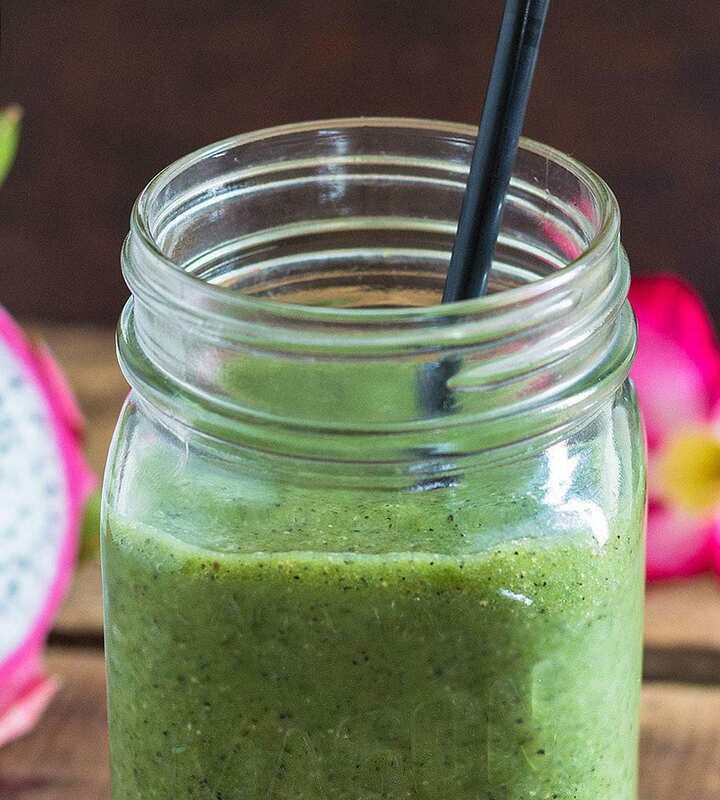 Note: If you are new to green smoothies, you may want to add a little additional sweetener like maple syrup, agave or even blend a few medjool dates with the fruit. A little more sweetness will make the smoothie more palpable as you get used to the taste of green smoothies. And if you are a green smoothie veteran, you can of course up the amount of greens. 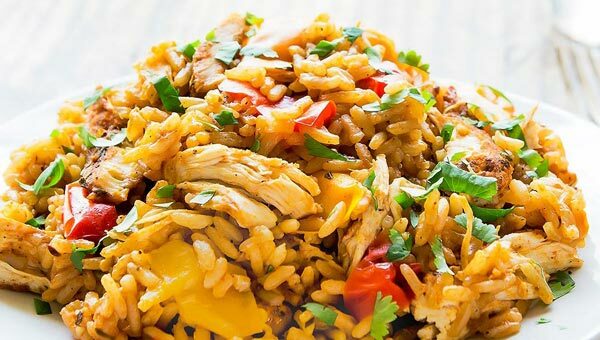 Blend everything together until completely smooth without any fruit chunks or bits of greens left. Pour into a glass and enjoy! If using a fresh dragon fruit, prepare it beforehand by cutting it into cubes and freezing until solid. If you don’t have a tamper you may have to stop the blender/food processor at times, to scrape down the sides and move the frozen fruit towards the blades. Scrape the pitaya smoothie bowl mix out of the blender and into a bowl. Flatten the top with a spoon and add your favorite toppings from granola to fresh fruit on top. If your local grocery store doesn’t carry fresh dragon fruit, try the produce section of an Asian market! I can almost always find them there. Frozen dragon cubes can also be found in the frozen food section of some super markets. Check out your local Target or try an online seller like Pitaya Plus. Those frozen pitaya packs are super handy for making smoothies. Why are dragon fruit smoothies pink (but not this one)? Most frozen pitaya packs use the first kind with the ultra pink flesh. Used in a smoothie that intense pink pitaya colour will also make the smoothie pink. However, when buying fresh dragon fruit I usually come across the second kind with white flesh. Which is the kind I used in this smoothie. And alongside with the leafy greens, the green colour takes over. I have seen dragon fruit smoothies made with leafy greens and the pink type of pitaya and they still come out very pink. And I have only ever seen the third kind of yellow-skinned dragon fruit in pictures, but never in real life. I really enjoy Organic Gunpowder Green Tea. 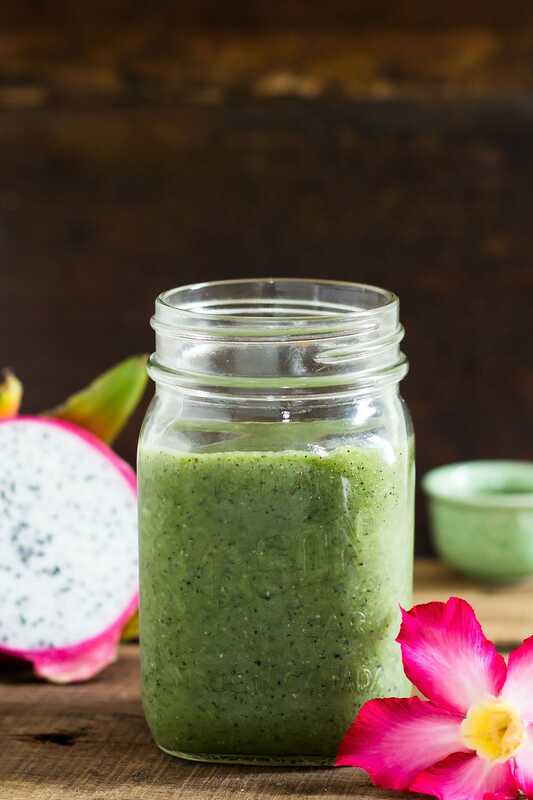 While I used a fresh dragon fruit in this recipe, frozen dragon fruit smoothie packs are also available. 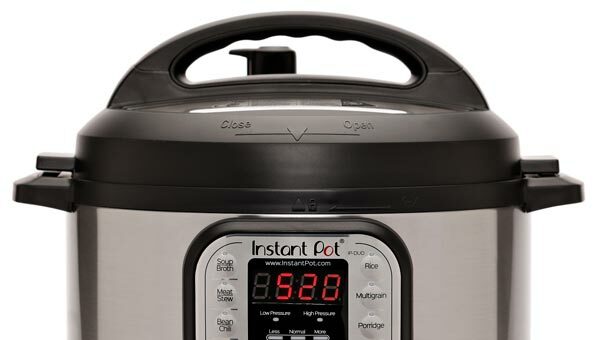 This is my high speed Vitamix blender that quickly and easily blends the smoothie ingredients or makes smoothie bowls with the help of the tamper. 1 cup leafy greens spinach, baby kale, etc. Prepare the green tea by steeping a small amount (~1 teaspoon) of green tea leaves in a cup of hot (boiled) water for 2-3 minutes. Don't over steep and let the tea turn bitter. Set it aside to cool. Once the tea is cooled, pour it into the bottom of a blender. Cut the dragon fruit in half. Scoop out the flesh with a spoon and add to a blender along with the frozen banana and pineapple chunks, and leafy greens. Blend everything until very smooth and no more bits of fruit or greens remain. Serve and enjoy! 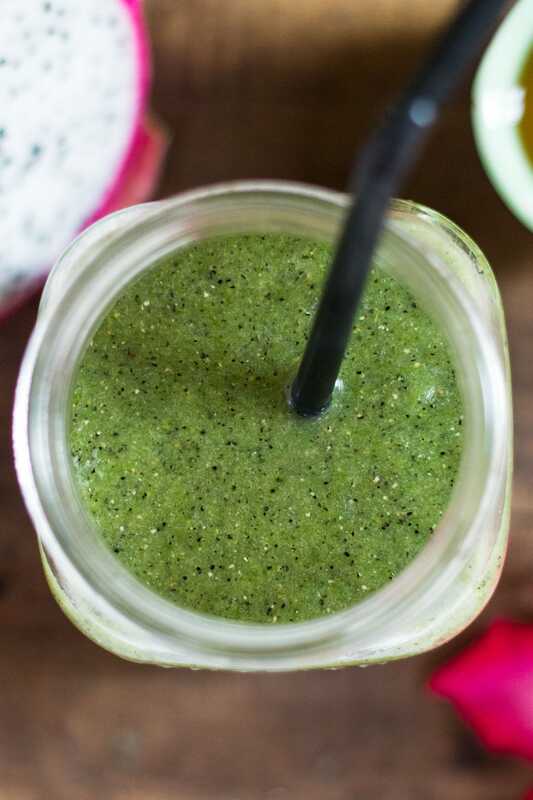 *Replace green tea with water, coconut water, or another liquid if you are making this smoothie for kids or simply prefer not to use green tea. If you ever end up with leftover smoothie or other homemade beverages, do not let them go to waste! Simply fill the mixture into popsicle molds and enjoy the same healthy smoothie as a nutritious frozen treat. A smoothie popsicle also makes a perfect summer breakfast on the go!